Petronella will soon be adapted into a movie and a tv-series! A little witch by the name of Petronella Applesauce lives in the garden of an old mill. There, inside an apple, she has made a cozy home for herself. 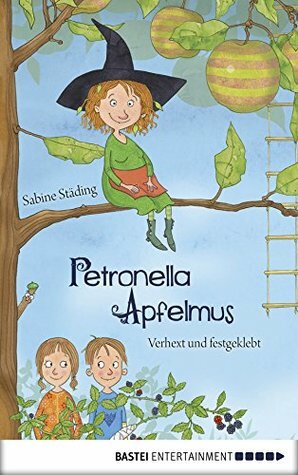 then, Lea and Luis discover the magic rope ladder leading to Petronella’s apple and, all of a sudden, they are standing right in the middle of her little house. Petronella quickly understands that these two are pretty great. It doesn’t take long and the children can really use the hands-on support of their new witch friend: A cake baking competition is about to take place and Lea and Luis want to win by all means. And thanks to Petronella’s help, the odds are not against them.